(1) I declare that, in the events which have happened, the defendant’s immediate suspension of the plaintiff’s practising certificate under s 77 of the Legal Profession Uniform Law (NSW) on 20 July 2017 has expired. (2) No order as to costs of the motion filed 18 May 2018 to the intent that each of the parties pays his and its own costs. 1. The Solicitor breached sections 254, 255, 260, 263 and 264 of the Legal Profession Act, 2004. 3. The Solicitor misappropriated trust funds. 4. The Solicitor caused a deficiency in trust monies. 5. The Solicitor has falsified trust records. 6. The Solicitor attempted to mislead an Investigator. 7. The Solicitor transferred costs without authority. C. FURTHER RESOLVED that pursuant to s. 77 of the Legal Profession Uniform Law (NSW), the Council of the Law Society of New South Wales [Council] immediately suspends the practising Certificate of Robert Remo Balzola [the Solicitor] on the grounds that the Council is considering whether to continue or complete an action under Part 3.5 of the Legal Profession Uniform Law (NSW) in relation to the Solicitor’s practising certificate and considers it necessary in the public interest to suspend the Solicitor’s practising certificate immediately. FURTHER RESOLVED that, a complaint having been made about the conduct of Robert Remo Balzola [Solicitor] and the immediate suspension of the Solicitor’s practising Certificate under section 77 of the Legal Profession Uniform Law (NSW) being warranted in the public interest on the ground of the seriousness of the alleged conduct, the Council of the Law Society of New South Wales recommends pursuant to the provisions of section 278(1) of the Legal Profession Uniform Law (NSW), that it suspend the Solicitor’s practising Certificate for the year ending 30 June 2018 in accordance with Division 3 of Part 3.5 of the Legal Profession Uniform Law (NSW). 2. in accordance with section 83(c) of the Legal Profession Uniform Law (NSW), invite the Solicitor to respond in writing by 9.00am on 14 August 2017 as to why his practising Certificate should not be suspended until 30 June 2018 pursuant to section 84 of the Legal Profession Uniform Law (NSW). The Council, having regard to the contents of the report prepared by Mr Simon Ward, Trust Account Investigator, dated 19 June 2017, is of the opinion that the Solicitor has misappropriated client trust funds, caused deficiencies in trust monies, falsified trust records and breached various requirements of the Legal Profession Act, 2004 (“the Act”) and the Legal Profession Uniform Law (NSW) (“the Uniform Law”). The solicitor also attempted to mislead Mr Ward during the course of his investigation. Mr Ward’s investigation has revealed a practice of using trust money, both from the trust account and received and held in the general account directly, to ensure sufficient funds were available in the general account to meet the liabilities of the practice. For each instance where Mr Balzola received/transferred without authority or held and used trust money in his general account, he has breached section 254 of the Act” and/or section 137 of the Uniform Law, section 260 of the Act and/or section 146 of the Uniform Law and/or section 255 of the Act and/or section 138 of the Uniform Law. Mr Balzola’s trust account records were incorrect, in breach of section 264 of the Act and/or section 147 of the Uniform Law. as these records did not take into account any trust money being received and held in the general account. Mr Balzola also appears to have manipulated trust accounting records in an attempt to avoid detection by issuing receipts from his trust account for funds that v/ere never received to enable him to transfer funds from the trust account to his general account without creating a deficit in the trust account ledger. These errors were not reported in the trial balance as trust ledger deficits but were rather entered as adjustments to the bank reconciliation statements. Mr Balzola regularly caused deficiencies in trust ledgers and the trust account. Despite being informed numerous times of the requirement that he report debit balances to the Law Society (by Mr Connor in 2011, Mr Lynch in 2012 and Mr Sofiak in 2013), Mr Balzola failed to ever report a debit balance in breach of section 263 of the Act and/or section 154 of the Uniform Law. Mr Balzola attempted to mislead Mr Ward in his investigation when questioning him over the establishment and use of a second trust account with Macquarie Bank as well as the transfer and use of trust money held for Mr Ghougassian in Matters 279 and 215 to pay for practice liabilities. The nature of the solicitor’s alleged conduct is of such seriousness that the Council believes it warrants the immediate cessation of the solicitor’s right to practise. 3. being of the belief set out in paragraph 1 and being aware as set out in paragraph 2 determines that, having regard to the interests of the clients of the law practice, external intervention is warranted. 1. An order that the decision of the Council of the Law Society of NSW dated 20 July 2017 to suspend the practising Certificate of Robert Remo Balzola pursuant to s 77 of the Legal Profession Uniform Law (NSW) (LPUL) (the Suspension Decision) be set aside under s 100(1) of the LPUL or alternatively the inherent jurisdiction of the Court. 2. An order that the decision of the Council of the Law Society of NSW dated 20 July 2017 to appoint a manager to the law practice known as Robert Balzola & Associates (Legal) Pty Ltd pursuant to s 334(2) of the LPUL (the Manager Decision) be set aside under s 358 of the LPUL or alternatively the inherent jurisdiction of the Court. 3. The Suspension Decision be stayed pending a determination of Order 1. 4. The Manager Decision be stayed pending a determination of Order 2. 1. That the Defendant has agreed that, until further order of the Court, the decision of the Council of the Law Society of NSW dated 20 July 2017 to appoint a Manager to the law practice known as Robert Balzola & Associates (Legal) Pty Ltd (law practice) pursuant to s 334(2) of the LPUL will be limited to the extent that the powers of the Manager be limited to that of supervising the law practice’s trust account. 1. That, until further order of the Court, the decision of the Council of the Law Society of NSW dated 20 July 2017 to suspend the practising certificate of Robert Remo Balzola pursuant to s 77 of the Legal Profession Uniform Law (NSW) (LPUL) be stayed. 2. The motion is otherwise dismissed. In the nature of the proceeding it is urgent that the plaintiff’s Summons should be finally disposed of in order to determine whether he should be suspended from practice. There is a strong public interest in resolution of this where a trust account is concerned and where the Council has received a report such as that of Mr Ward identifying apparent serious irregularities in the plaintiffs handling of funds held by him in trust. I indicate to the parties that they should be ready to take the appointment of a hearing date for the final disposition of the Summons when the matter is before the Registrar on 8 September 2017. The Registrar is requested to note that the matter requires to be dealt with expeditiously and that a date for hearing should be appointed as soon as possible after 8 September 2017. Unfortunately, no hearing date was obtained on 8 September 2017 or thereafter. Rather, the matter was adjourned by consent from time to time with some further directions being given about evidence. No explanation was offered for that when the present notice of motion came for hearing before me. A declaration that, in the events which have happened, the defendant’s immediate suspension of the plaintiff’s practising certificate under s 77 of the Legal Profession Uniform Law (NSW) on 20 July 2017 has expired. The issue on that notice of motion is a narrow one. It concerns the effect of the stay ordered by Lonergan J in relation to the suspension of the practising certificate pursuant to s 77 of the Legal Profession Uniform Law (NSW) No 16a (the Law). (1) This section applies if the designated local regulatory authority is considering whether to start, continue or complete action under this Part in relation to a certificate and the designated local regulatory authority considers it necessary in the public interest to vary or suspend the certificate immediately. (b) the end of the period of 56 days after the notice is given to the holder under this section. (3) The holder may make written representations to the designated local regulatory authority about the variation or suspension, and the designated local regulatory authority must consider the representations. (4) The designated local regulatory authority may at any time revoke a condition imposed by the variation under this section, whether or not in response to any written representations made to it by the holder. The plaintiff submitted that, pursuant to s 77(2) the suspension of the plaintiff’s practising certificate has expired because no further decision has been made under Pt 3.5 of the Law and 56 days has expired after the notice was given to the plaintiff of the suspension. The Law Society submitted that the effect of the stay was not only that the suspension of the practising certificate ceased to be in force during the period of the stay but also that the 56 day period referred to in sub-s (2)(b) did not run. It was common ground that no further decision has been made by the Law Society under Pt 3.5. The scheme of Pt 3.5 of the Law provides for two circumstances where the Law Society can, relevantly, suspend a solicitor’s practising certificate. Under s 77 a practising certificate can be suspended immediately where the Law Society considers it is necessary in the public interest to do so. That suspension is a temporary one which lasts either for a period of 56 days or until the Law Society informs the practitioner of its decision under Pt 3.5, either to lift the suspension or to impose a suspension for a specified period of time under s 82, whichever is earlier. (d) in the case of an Australian practising certificate—the designated local regulatory authority reasonably believes that the holder is unable to fulfil the inherent requirements of an Australian legal practitioner. Note Section 227 empowers the designated local regulatory authority to suspend an Australian practising certificate or Australian registration certificate for failure to pay an annual contribution or a levy. (b) the holder has been convicted of the offence but proceedings taken or likely to be taken in relation to the offence have not been concluded. (d) if the charge is dismissed—the day of the dismissal. 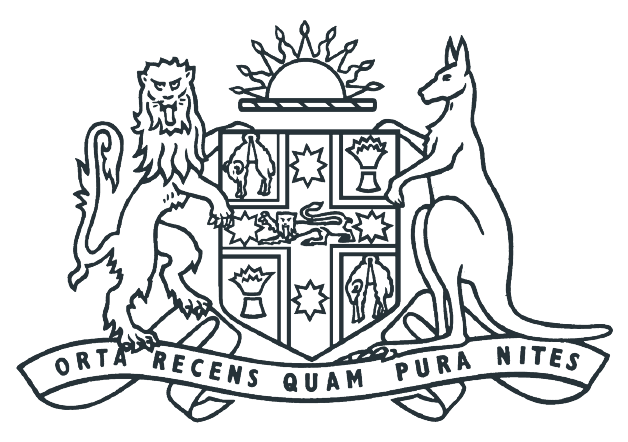 (4) The designated local regulatory authority may recommend to another designated local regulatory authority that consideration be given as to whether the holder of an Australian practising certificate is, or may be, unable to fulfil the inherent requirements of an Australian legal practitioner (as referred to in subsection (1)(d)). (5) Subsection (4) does not by implication limit the powers of any local regulatory authority. (c) inviting the holder to respond in writing to the designated local regulatory authority within a specified period (not being less than 7 days nor more than 28 days after the notice is given) as to why the proposed action should not be taken. it may, after considering any response made by the holder, by notice in writing given to the holder, take the proposed action or take less onerous action that it considers appropriate. It may be observed that there are different requirements for procedural fairness depending upon whether a suspension is imposed under s 77 or s 82. Under s 82, notice must be given under s 83, and the Law Society must consider any response made by the solicitor before imposing the suspension. On the other hand, where a suspension is imposed under s 77, the suspension may be imposed without notice being given, but if the solicitor makes written representations about the suspension the Law Society must consider those representations. Sections 77 and 78 when read together suggest that in some cases notice might be given by the Law Society before a suspension is imposed, but in others the representations will be made after the suspension is imposed, with the Law Society being able to revoke or vary or lift the suspension whether in response to those representations or not. (c) a decision that a person is not entitled to apply for an Australian practising certificate for a specified period (see section 94). (2) An appeal or review under this section may be made to review the merits of the decision concerned. (d) an order directing the designated local regulatory authority to vary an Australian practising certificate in the manner specified by the designated tribunal. (4) Except to the extent (if any) that may be ordered by the designated tribunal, the lodging of an appeal or application for review under this section does not stay the effect of the refusal, variation, suspension or cancellation concerned. (5) The designated tribunal may not order the imposition of conditions on an Australian practising certificate without first taking submissions from the designated local regulatory authority. (6) In proceedings on an appeal or review under this section, fresh evidence, or evidence in addition to or in substitution for matters considered by the designated local regulatory authority, may be given. (c) a document that appears to be a document issued for the purposes of or in connection with any application, proceedings or other matter arising under the Bankruptcy Act is admissible in the proceedings and is evidence of the matters stated in the document. (8) The designated local regulatory authority is to give effect to any order of the designated tribunal under this section. Jurisdictional legislation may provide a right of appeal against or a right of review of the designated tribunal’s decision. In my opinion, the plaintiff is correct in its submission that the stay granted does not have the effect of extending the 56 day period referred to in s 77(2). My reasons are as follows. First, the terms of the stay referred only to the decision of the Council of the Law Society on 20 July 2017 to suspend the practising certificate pursuant to s 77. No stay was sought, and none was ordered, to prevent the Law Society considering whether to start, continue or complete any action under Pt 3.5 which might result in a further suspension or other decision under s 82. Secondly, the power of suspension given under s 77 is distinct from a suspension which might be imposed under s 82. Section 77 gave a power which had to be exercised in accordance with s 77(1). There were two conditions. The first was that the Law Society had to be considering whether to start, continue or complete some action under Pt 3.5 in relation to a practising certificate. The second condition was that the Law Society had to consider it necessary in the public interest to vary or suspend the certificate immediately. The Law Society could do that without first giving notice of its intention to do so to the holder of the practising certificate. That was to be contrasted with a suspension under s 82 which could not be imposed until the notice had been given under s 83, and the Law Society had taken into account any response by the solicitor. The suspension under s 77 could only operate for a maximum of 56 days. The suspension under s 82 operates for the time specified in s 82(3), but may operate until the determination of a tribunal after a hearing on the merits of the complaint which led to the suspension. A variation, suspension or cancellation referred to in subsection (1) does not have effect during any period in respect of which the stay is in force. the lodging of an appeal or application for review under this section does not stay the effect of the refusal, variation, suspension or cancellation concerned. The Law Society submitted that the stay operated in the way set out in s 79(2), that is, that it resulted in the suspension not having effect. I accept that submission. It should be noted, however, that s 79(2) makes clear that it is only the stay, suspension or cancellation that does not have effect during the period of the stay; nothing else is said to be affected. The Law Society then submitted that part of “the effect of the … suspension” referred to in s 100(4) was that s 77(2)(b) had no continuing operation. This was because s 77(2) provided a balance between any punitive effect of the suspension and the need for public protection. It was the time limit which provided that balance. Hence, the Law Society submitted, where the plaintiff was no longer suspended because of the stay, there was no balance to be struck. Even if s 77(2) strikes a balance as submitted, nothing in the stay order or the Law provides any basis for the Law Society not proceeding to consider and take further action under Pt 3.5 if it was so minded. Whilst the need for the balance is removed by the stay, that cannot operate effectively to extend the statutory period for the interim arrangement to come to an end. It would be necessary for the plaintiff to seek an injunction to prevent the Law Society taking any steps towards a decision under s 82 if there were grounds to do so. The Law Society is still free to take action under s 82, but it may no longer suspend the plaintiff’s practising certificate whilst it is in the process of taking that course. Section 100(4), like s 79(2), is directed to the refusal, variation, suspension or cancellation itself and not to any other matters including the obligation in s 77(1) that enables an immediate suspension to be imposed; namely, the consideration by the Law Society of whether to start, continue or complete action under Pt 3.5. The obligation on the Law Society to be “considering” is not an effect of the suspension; it was the pre-requisite to the suspension. … the stay does not overturn the order below. It leaves the order intact but temporarily neutralises or suspends its effect. That is true in the present case. The suspension is neutralised. That says nothing about the effect, if any, of the stay on the obligation referred to in s 77(1) which entitled the suspension to be put in place in the first instance. The Law Society submitted that the issue raised by Mr Ward’s report that led to the resolution could be determined in the present proceedings to avoid a multiplicity of proceedings. Whilst accepting that this is a desirable outcome, it does not assist in the determination of the issue. In any event, if the Law Society proceeds to impose a second and more final suspension under s 82, it will be that suspension which will be the operative one. At that point there would be limited utility in challenging the temporary suspension imposed under s 77. If there was to be a challenge to the s 77 suspension it would need to be made and determined before the s 82 suspension came into effect. It seems likely that the issue on such a challenge would focus on whether the Law Society had any basis for its decision (perhaps to head off a s 82 suspension before it was imposed)(Berger v Council of the Law Society of NSW  NSWSC 1080 at ), whether the public interest warranted an immediate suspension (Berger at ), and, perhaps, a challenge on the basis of the limited obligation on the part of the Law Society to accord procedural fairness in the light of the terms of s 77. Since the 56 day period has expired without any action under s 82, the temporary suspension under s 77 has lapsed. The plaintiff is entitled to the declaration sought. Senior counsel for the Law Society said that, in the light of the stay granted, the Law Society did nothing towards making any decision in relation to s 82. This was because the Law Society is a model litigant and did not want to do anything which might lead to an approach by the plaintiff to the Court asserting an abuse of process whilst the stay was in place. I accept that the Law Society acted in good faith in that regard. It is nevertheless unfortunate that so much time has elapsed since the stay was put in place and the 56 day period expired. No explanation has been offered, as I have said, about why steps were not taken more promptly to have the proceedings brought on for hearing. Justice Fagan urged expedition. Notwithstanding his remarks on 4 August 2017 the plaintiff did not seek a hearing date when the proceedings were before the Registrar on 8 September. Rather, the proceedings were adjourned by consent a number of times with the result that the principal relief sought in the proceedings has become, as a result of the effluxion of time, largely otiose. In those circumstances, there should be no order as to the costs of the motion to the intent that each party should pay his and its own costs. I declare that, in the events which have happened, the defendant’s immediate suspension of the plaintiff’s practising certificate under s 77 of the Legal Profession Uniform Law (NSW) on 20 July 2017 has expired. No order as to costs of the motion filed 18 May 2018 to the intent that each of the parties pays his and its own costs. This entry was posted in NEWS on June 12, 2018 by Garry Burns.